Try to imagine the Wild West without thinking of the paintings and sculptures of Frederic Remington or Charles Russell or a nineteenth- century Parisian cabaret without thinking of Henri de Toulouse- Lautrec or Édouard Manet. Some artists define their time and place. Other artists transform ordinary objects into icons. Try to imagine a cow skull without thinking of Georgia O’Keeffe or a can of Campbell’sTM Soup without thinking of Andy Warhol. The images of these artists have proven to be so powerful that they have become synonymous with the very idea of the object. They are almost more “real” than the real thing. 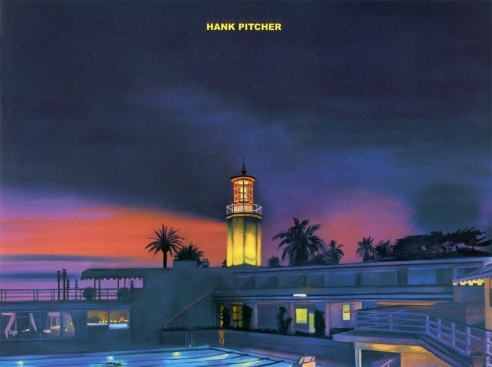 Now try to imagine a surfboard planted in the sand or the string of houses along Miramar Beach without thinking of Hank Pitcher. For those who have seen the work of the artist, it is difficult. For those who live in Santa Barbara or Montecito, it is nearly impossible. Pitcher’s aesthetic is so clearly defined that it has spawned its own school. Still, the elegance of his reductive impulse, the poetry of his brushwork, and the sophistication of his compositions have been difficult to replicate. No one paints a Pitcher better than Pitcher. 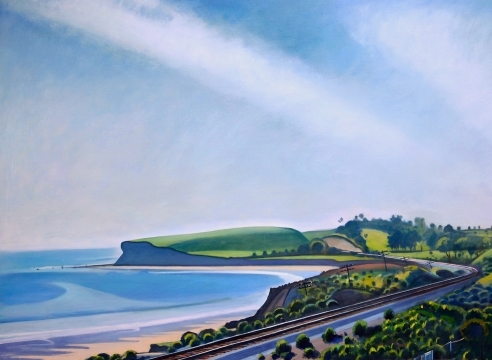 Over his thirty-seven years as a professional artist, Hank has developed and refined his painterly vocabulary for describing life in Southern California. In that time, Santa Barbara and Montecito have grown ever more famous as they continue to become home to celebrities and magnates from around the world. Bringing the sophistication of his training with Paul Georges and Paul Wonner to his depictions of the people and places of his home, Pitcher has quietly developed into an icon himself - the premier painter of our place and time.